Probate is the legal and financial processes involved in dealing with the property, money and possessions (called the assets) and paying any debts of a person who has died. The responsibility of distributing someone’s estate has set rules, and often it is necessary to obtain a court order, known as a grant to show you have the authority to act. It’s a huge responsibility, and can usually be quite upsetting. You just need to know the rules and how it works, you can learn here. 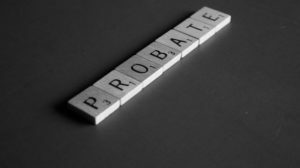 So how long does Probate take? Commonly, it can take around 9-12 months to complete, and in this process, there are a number of factors that can positively and negatively impact the duration of the completion. If the Will is poor, unclear or invalid, it can cause family conflict and lengthy delays. If the decision is to sell the property, everyone knows this process is incredibly unpredictable. What happens if the person responsible for the distribution passes away? The longer the Will, the more complex it is probably going to be, also meaning the longer the process. Third parties can cause delays. Getting the right permission (the grant of probate). These were only just a few ‘common sense’ pointers. But as you can see, with the complexity of the process, comes more potential delays. It is a stressful time, especially as you are mourning those you have lost. Our Probate team at Lifetime Solicitors are here to support your family and friends at all times – we are professional, but our team are compassionate and understanding. Whether we are helping with the smaller legalities or taking control of the entire process for you, we will lift a huge weight off of your shoulders in our most sympathetic manner. We aim to make this an achievable and easier operation for you, especially in this hard, sensitive time. Let us help! Get in contact with us today.